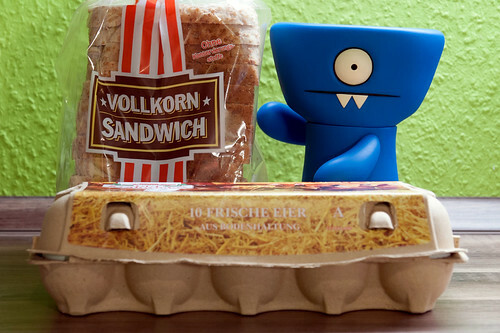 Uglyworld #2192 - Breakfasts Plannering - (Project On The Go - Image 24-365), a photo by www.bazpics.com on Flickr. What betterers way to subliminalies puts the ideas for frenchers toasties into Mireille's head than to keeps leaverings the eggs lyerings besides the breads! Hopefullies my sneakiers plan will works and I will has super tastiers frenchers toasties with mapler syrups and cinnamons tomorrow mornings for brekkiesfast!